What is Irvingia Gabonensis? (African Mango) - Another Weight Loss Hype? 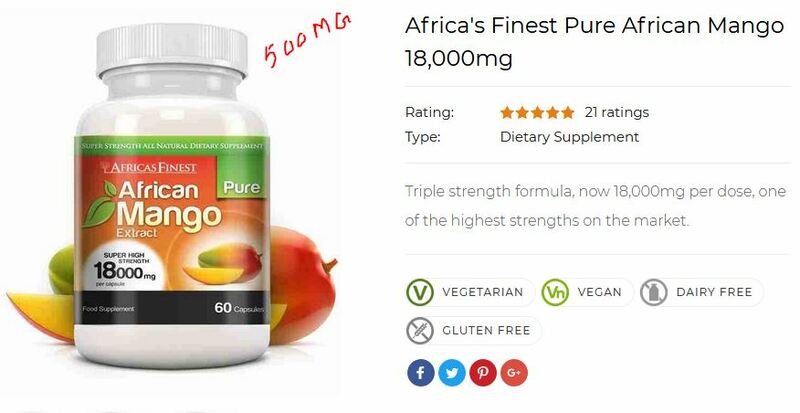 African Mango has taken this culture by storm with its powerful weight-loss stimulating ingredients. Studies show that the inclusion of African Mango into the diet can decrease appetite, stimulate the metabolism, and cleanse the body. Irvingia Gabonensis is derived from the seed of the African Mango. The seed is high in fat and fiber, both elemental ingredients in weight-loss. Fat helps to suppress appetite, provide neuro-support, and stimulate hormone production, while fiber works to cleanse the body of toxins and bad cholesterol. When taken before meals, Irvingia Gabonensis can work to minimize your appetite by secreting Leptin. Leptin is the hormone that the body produces to tell your brain you’re full. And since Irvingia Gabonensis also works to increase energy, its simple science. More energy can increase activity levels, which increase caloric burn. If you’re in-taking less calories and burning more calories—you are going to lose weight. Fiber is an elemental component of your diet. This is particularly true if weight-loss is your goal. In cases of obesity or diabetes, fiber is one of the most important additions to the diet. This is because the increase of soluble fiber in the diet assists in the elimination of bad cholesterol in the blood stream and throughout the body. Fiber absorbs toxins, and pushes fat through the system, eliminating it completely from the body. This further improves the efforts of weight-loss because a clean body is a well-functioning one, and a well-functioning system can improve every aspect of one’s health. The African Mango seed is high in fiber and can greatly decrease levels of cholesterol in the blood. Lower cholesterol can help increase levels of energy in consumers, along with better circulation throughout the body as a whole. The better your circulation, the healthier your body is as a whole. Good circulation relates to every aspect of your health—because the amount of nutrients delivered throughout your body and the rate at which they are delivered effects everything from your skin health to strength of your muscles. Irregular eating and overeating are some of the main causes of overweight among people. Most modern dietary solutions implement appetite suppressants as ways of helping people lose weight by shaping their eating habits. The lesser you eat calories, the lesser workload of burning them you give your body. The African mango contains high fiber content that helps give you the feeling of fullness in your stomach. Stomach enzymes will not ask for food as a result of this, so you will not get the feeling of hunger quickly. If combined with adequate exercise and other effective methods, it becomes easier for a person to lose weight. The composition of the African mango makes it a perfect calorie burner. It contains antioxidants and natural fat burners. When consumed, it helps in the breaking down or burning not only the active fat in the body but also the fat that is stored, which is known to be the cause of weight gain. In a general sense, this mango improves the process of digestion and metabolism, which helps in cutting and controlling weight. Most weight loss supplements stimulate the shedding of weight through increased metabolism. This is not the case with the African mango because it does not stimulate the burning of your water weight but that of the excess fat on your body. Therefore, the fruit does not have side effects such as making you lose your muscle mass and water weight as placebo solutions do. The best product on the market that we have found to increase the efforts of weight-loss and lifestyle changes is IrvingiAppress. This is because IrvingiAppress includes the most nutrient dense ingredients and combines the power of Irvingia to that of Green Tea Extract. These two components work together to maintain and provide the most ideal environment in the body to provide increased energy and help users lose weight.